Get your FREE printable posters! Spelling can be tricky, but that doesn't mean it has to be hard. 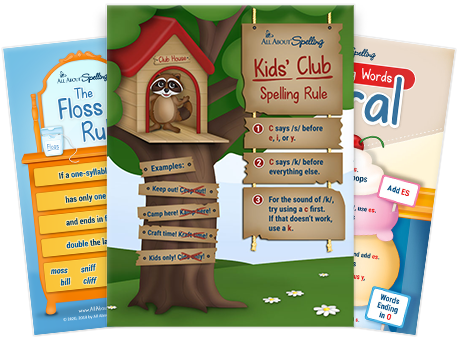 Our handy spelling tips & tricks can make spelling easier! 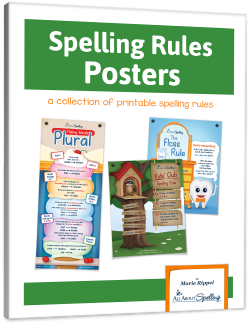 We’ve rounded up a series of three posters that will help make some important spelling rules easy to remember and fun for your children. Hang these colorful posters on your classroom wall for a quick reference that you'll want to leave up even after you've mastered the rules! Tips and tricks like this one are taught throughout the All About Spelling program. If you have any questions as you work through these rules, we would love to hear from you. You can email us at support@allaboutlearningpress.com, or call us at 715-477-1976. No question is too big or too small—we’re here to help!